I don’t normally post on Saturday or this late, but I’m getting a bit behind and I’m about to start the GYPO Summer challenge. I decided to go ahead and do an extra post since I hope to be taking more pictures than normal for the next three weeks. Don’t worry, if you follow for the work outfits, and I assume you do unless you happened upon one of my rare posts like this one, I will still be posting my work wear. I decided to do the challenge to have some easy go to ideas for the weekend. 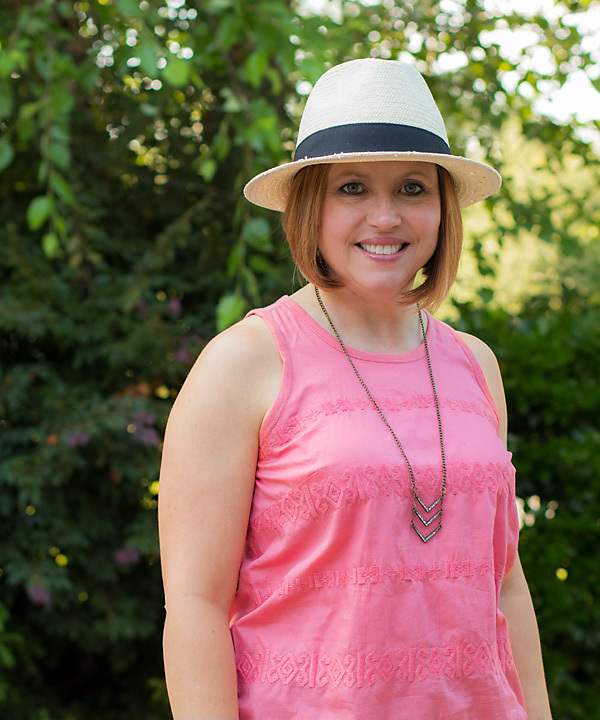 Sometimes, I get stuck when it comes to casual off duty wear. 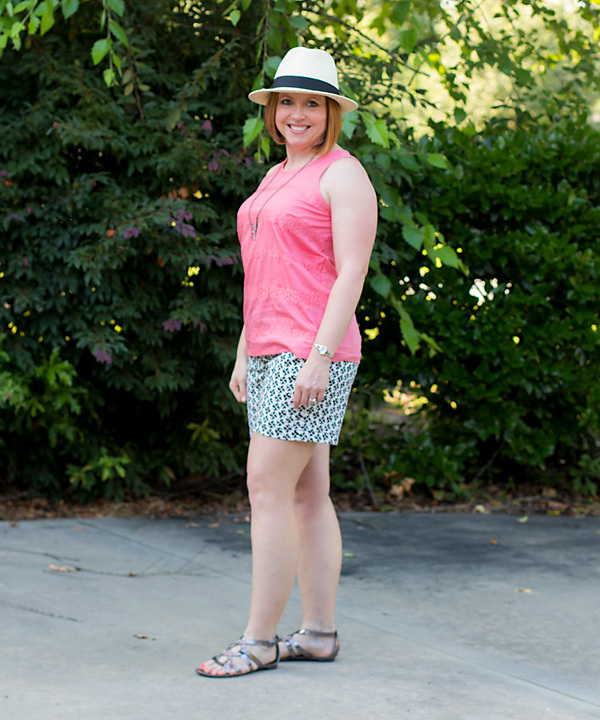 I based this outfit off one of the 2014 summer formulas- prints shorts, bright tank, fedora, wedges. I substituted my flat sandals for the wedges.